Love, Mrs. Mommy: Affordable and Thoughtful Gifts from Personalized Cart! Affordable and Thoughtful Gifts from Personalized Cart! I received this necklace at no cost to facilitate this review. All opinions are my own. To say my daughter LOVES jewelry, is an understatement. She always wants to look through my jewelry and try on anything and everything. It’s undeniably cute and so sweet how she loves to dress up like mommy. With knowing how much she adores jewelry, I figured it was time to get a special and oh-so-sweet piece of jewelry just for her. 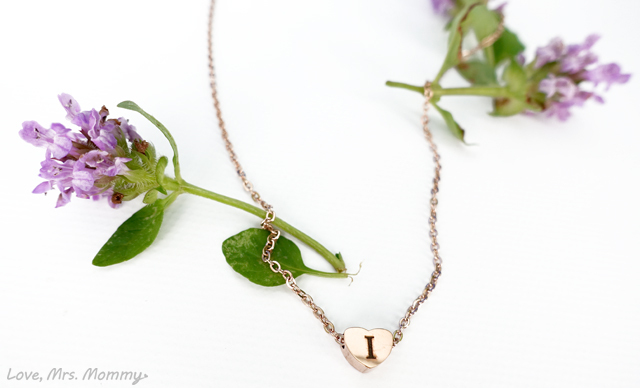 Thanks to my partnership with Personalized Cart, I found a necklace that was sure to please! Personalized Cart is a personalization website that can take any object… from drinking glasses to watch cases and jewelry to wedding gifts (and so much more! )… and turn them into personalized gifts for your loved ones. They use high quality materials and make each item with careful thought and attention. 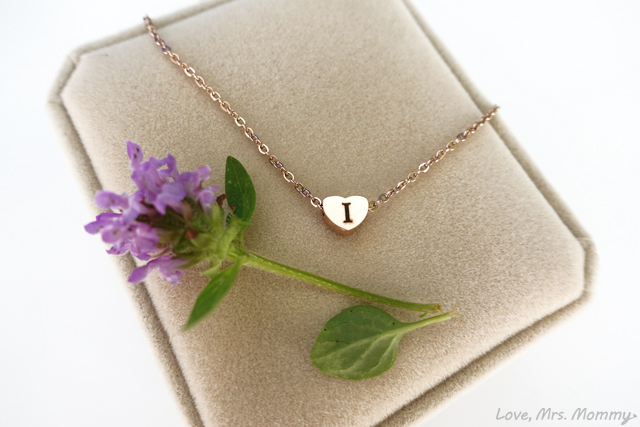 We received the Heart Custom Necklace and I chose the one with the Rose Gold fill. 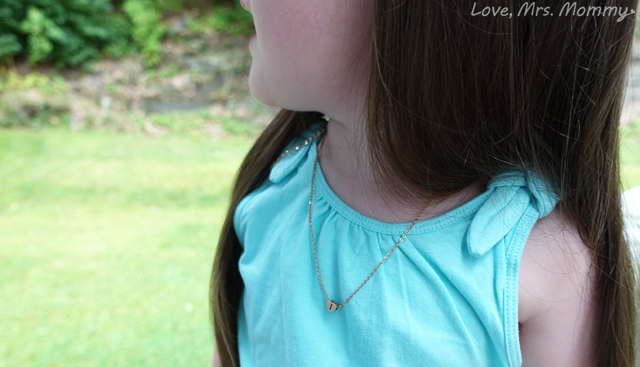 My little sweetie loves hearts and pink, so this seemed like the perfect necklace for her! This necklace also comes in 18k Gold Fill, and Sterling Silver, which are also beautiful choices! The chain is 18” long and is adjustable. The personalization options are great and you can get it for FREE too! You can add your loved one’s name, initials, or perhaps even a nickname – at no additional cost! It can even be personalized on both the front and the back of the heart. I decided to have her first initial engraved on the front of the necklace and it came out great! The necklace came in a soft, cream-colored box that showed off the necklace perfectly when opened. It’s so hard to believe that you can get all of this for only $9.90! It’s such a wonderful and thoughtful gift to give someone without breaking the bank! When I gave the box to my daughter, her eyes lit up! She could tell that it was a jewelry box and couldn’t wait to get it open. It was a total #MomScore! 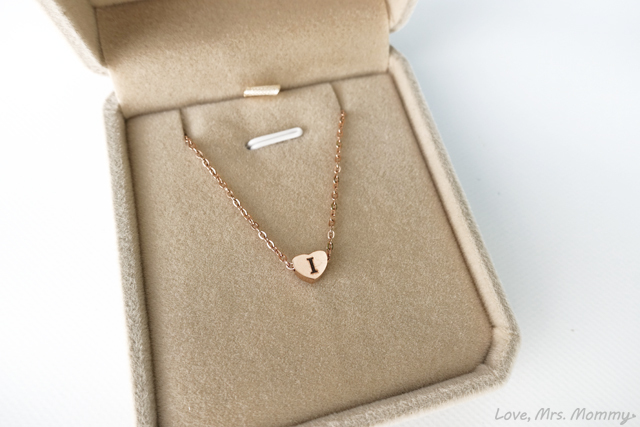 She loved the rose gold, heart shape, and that her first initial was on it. She knew that with her initial on it that it meant it was for her, and only her. Her own special necklace, like any big girl would get. With all the wonderful gift options Personalized Cart has on their website, you will definitely find a unique and thoughtful present for a loved one. Whether it’s for a wedding gift, baby shower, or perhaps just an “I Love You” gift, Personalized Cart’s price and quality can’t be beat! Connect: Find out more about Personalized Cart by visiting their website. Then make sure you “like” them on Facebook and follow them on Twitter. Buy It: You can purchase this necklace right here on their website. Be sure to check out their website for even more great items! Cute! I also like their personalized christmas stockings. Super cute!! Definitely would make the perfect gift with personalization offered!! Personalized gifts are great. They are a great way to show your love in a special way. I love to give personalized jewelry for special occasions. Last September I found 2 special necklaces for my great nieces first birthday. There was one for mommy and one for Zay to wear when she was older. Oh I love this site! I have many that are hard to buy for, and this helps.